Every Indian party is incomplete without everyone dancing together! 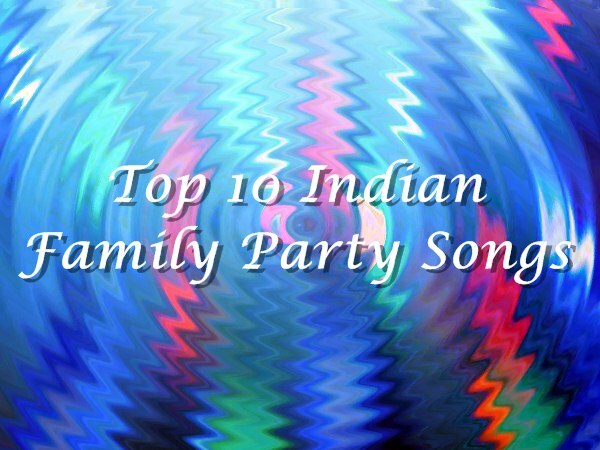 Here's a list of party songs on which you can groove with all your family members! Every party is incomplete without everyone dancing together! Dancing is not only a fun way to burn calories, but also helps improve memory and reduce stress. Nowadays the number of party songs is too damn high - we can dance whole night without repeating any track. But whenever there's a family function we become a bit conscious about the type of songs being played! So here's a list of party songs, in no particular order, on which you can groove with all your family members! Everyone will enjoy the party at its best!! Old is gold. This song brings nostalgia to all. No party is complete in North India especially Haryana without this song! High octane music with beautiful lyrics by The Messenger. If your friends/relative haven't ever formed a train while dancing then you're missing the most fun of party dancing! Even though this song have nothing to do with party/wedding but it's superb music has made the most played song for past couple of years! Party in South Indian Lungi Style! Old song that makes everybody feel young! You people are no less than superstars so why not perform like them! Well everyone have their family party songs, we'd love to know yours, comment below to share with us!